At first blush, New Orleans and the Jersey Shore might seem as different as étouffée and salt-water taffy. New Orleans is urban, diverse and Creole. The Shore is seasonal, suburban and deep-fried. Still, each sits in a state entirely too familiar with the kind of corruption that leads to Oscar-winning movie scripts. Both sit on the water and offer a coastal vibe. And each has recent traumatic experience with storm-tossed waters that left a vivid legacy of physical, fiscal and emotional harm. And now, each has a Listening Post. Listening Post is a suite of civic engagement techniques, both digital and grassroots, begun in New Orleans by Jesse Hardman, a reporter at public radio’s WWNO. Intrigued by dialogue Hardman has nurtured by planting audio listening posts around New Orleans and by pushing discussion prompts out via text message, the Dodge Foundation sought a local news operation in New Jersey that would experiment enthusiastically with the techniques. Well, if you’re looking for a local news entrepreneur in New Jersey who’s open to experimenting and whose middle name is enthusiasm, your search will soon turn to Justin Auciello. Auciello is a 30-something Shore native who started a Facebook page called Jersey Shore Hurricane News during the back-to-back years (2011 and 2012) when his community got pounded first by Hurricane Irene, then Superstorm Sandy. Fast-forward five years and JSHN is a much-praised, hyperkinetic hyperlocal that reports on all things Jersey Shore. That Facebook page now boasts 250,000 likes and is joined by a newer website drawing 200,000 unique visits a month and an Instagram account with 25,000 followers. JSHN reports breaking news from traffic jams to shark attacks in towns up and down the Shore, combining crowdsourcing with Auciello’s excellent sources in local government. It also provides a daily visual diary of Shore life, lifestyle features, and event notices. It also provides occasional deeper dives into issues. But those dives aren’t deep enough, nor do they come often enough, to satisfy Auciello, whose roots are in urban planning and community organizing. That’s why Auciello was excited to try Listening Post in 2016, using a Dodge grant to convert intern Kelly Schott into a paid leader of the initiative. 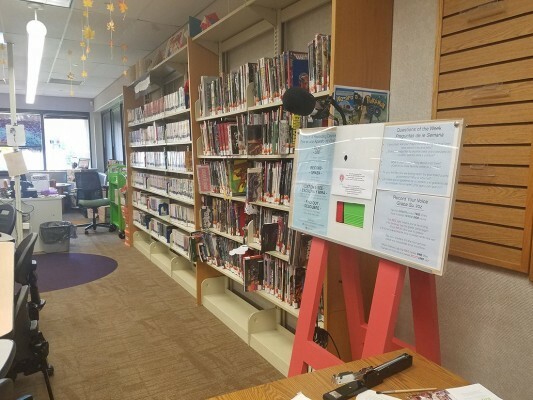 Setting up audio listening booths to take anonymous comments from people visiting three spots — a food pantry, a thrift store and a library (pictured above). Using notices on their platforms, plus teaser signs posted around the town of Asbury Park, to get people to respond by text to question prompts. Conducting a Facebook Live Q-and-A with the mayor of one the larger townships at the Shore, asking questions texted by residents. Auciello and Schott decided to focus much of Listening Post effort on Asbury Park (yes, the very town from which Bruce Springsteen famously sent greetings in his very first album). Why Asbury Park? Auciello, after five years of frenetically chasing news up and down a 140-mile coastline, wanted to dig into one place and connect with residents who don’t normally see their faces or hear their voices in coverage. Both Auciello and Schott grew up nearby and know Asbury Park well. Auciello dreams of creating a virtuous feedback cycle: Hear from residents what issues are on their minds, deepen the take by talking to key stakeholders, then deliver the input to the people in power, getting them to respond in a real way to the people’s concerns. Then use the public feedback to guide choices for deeper reporting. The effort is still in its infancy. Since the program started last spring, about 85 people have responded to the invitations to comment anonymously by text that Listening Post has put up on signs around Asbury Park and on JSHN platforms. On any given question, response rates can vary from 10 percent to 25 percent of the GroundSource database where the cell phone numbers are stored. GroundSource automatically pushes questions out to the database and adds the cell numbers of any new participants who text responses to prompts they see on signs or on JSHN. With a sigh, Auciello says it’s been hard to keep some regular JSHN readers from answering prompts on the Facebook page, rather than by sending a text. Oh, well, it’s all engagement. Is your voice being heard in this election …? What’s missing from the Jersey Shore …? What’s the best thing about your town …? If you could ask your town’s mayor for one thing …? 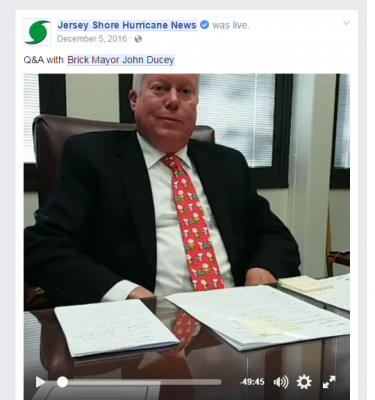 That last question generated so many replies from Brick Township that Schott and Auciello decided to ask Brick Mayor John Ducey if he’d like to do a Q-and-A on Facebook Live. Schott, noting that Ducey had an active Twitter game, tweeted him the invitation and got a swift yes. “He’s more engaged than a lot of officials I’ve seen,” Schott says. 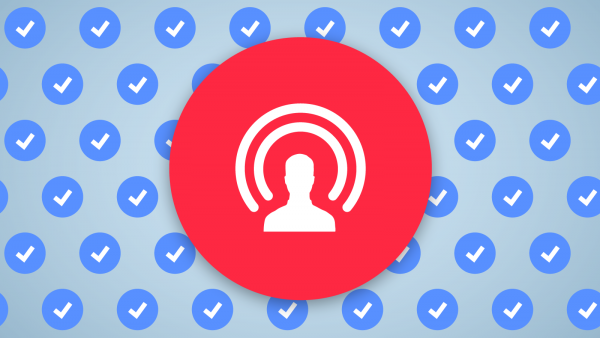 The Facebook Live session with Ducey got 8,704 views and 203 reactions. Schott reports that the mobile listening posts took a while to take off. At the food pantry and thrift shop locations, she says, people seemed a little suspicious of the setup. At the library, though, a good, off-to-the-side location for the microphone generated 31 comments, including many interesting ones from teens. Auciello and Schott say that some tactics Hardman reports have worked well in noisy New Orleans work less well at the less dense, more homogenous Shore. Still, in 2017, Auciello wants to double down on making Listening Post a forum for what he sees as big local issues, working with nonprofits to bring attention to topics like the health of Barnegat Bay. Both he and Schott want Listening Post to help amplify the voice of the Shore in the coming race for New Jersey governor. This piece was originally published by The Geraldine R. Dodge Foundation, and republished with permission. Chris Satullo is Senior Advisor to the Geraldine R. Dodge Foundation and a civic-engagement consultant. He formerly was a top news executive at the Philadelphia Inquirer and WHYY Inc.